Olowalu: We've been working with Dave Ward and Bill Frampton on Maui for the past two years on the community-based planning effort to create a sustainable small town for Maui's families. To learn more about the effort to inform and involve the people of Maui in the process and its results click here. The Geeks have grown up and their brand identity needed to grow and evolve with them. We're in the process of doing that. Find out more. An important part of Info Grafik's DNA is our commitment to serving and helping to improve the community we live in. 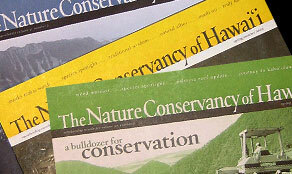 We have worked with The Nature Conservancy of Hawai‘i since 1991 to provide them with high-end communication pieces on a modest budget. Find out more. 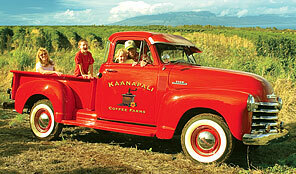 Ka‘anapali Coffee Farms, located just above Kaanapali Resort, is the Hawaii version of owning a Vineyard. Find out more.